It was never going to be long before the commercial opportunities from wearable technology would be fully grasped by the entertainment industry. Into frame comes The Walt Disney Company, who have been discussing the success of their adoption of wearable technology at the Digital Strategy Innovation Summit recently. Their new “MagicBand” aims to “improve customer experience and engage with visitors” at its parks and resorts. This is a neat euphemism for describing big data analytics consuming and helping direct customer behaviour through holding personal details to enable greater marketing opportunities to be had. The MagicBand uses radio frequency identification (RFID) technology. 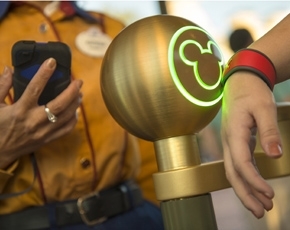 Visitors can enter parks, hotel rooms, purchase food and gifts, use fast-track services as well as link Disney photos to an online account with a swipe of their arm. Acknowledging the issue of privacy and security, Disney’s customers can elect whether or not to share their personal data. If they do, families can register one time payment details to avoid carrying a wallet to pay for individual items during a stay, or register their children’s names and birthdays to make a “magical” personal greeting at a ride – or have informed conversations with a Disney character whilst walking around. Should we be surprised, well no, not really. After all it is 20 years since Tesco employed company DunnHumby in 1994 to analyse their Customer Relationship Management (CRM) data to find patterns to help direct marketing campaigns. This quickly became known as the highly successful Tesco Loyalty Card. Even this wasn’t cheap though – the scheme is reputed to cost £60million per annum to run. However, the exploitation of data to direct company decisions is the future and central to the Internet of Things to make our lives easier. So the more intelligent organisations are about their use of data, its connections, privacy and security, the greater the potential opportunities that can arise in future – and hit the bottom line. Apple announcements come and go, but last week’s big Apple event was mostly underwhelming, bringing incremental refreshes to its iPads and Macs with an absence of exciting new features. A small detail that went unnoticed by most (and wrongly reported by others), is the new Apple SIM that comes included within the new iPads in the US and UK. The Apple SIM is essentially an Apple branded nano-SIM which lets you swap between different network providers without swapping the SIM itsel. This can be done by choosing you provider of choice on the iPads touch interface without visiting a physical or web store. That is the plan at least. Currently here in the UK, only EE have signed up so you are limited to swapping between EE and nothing. 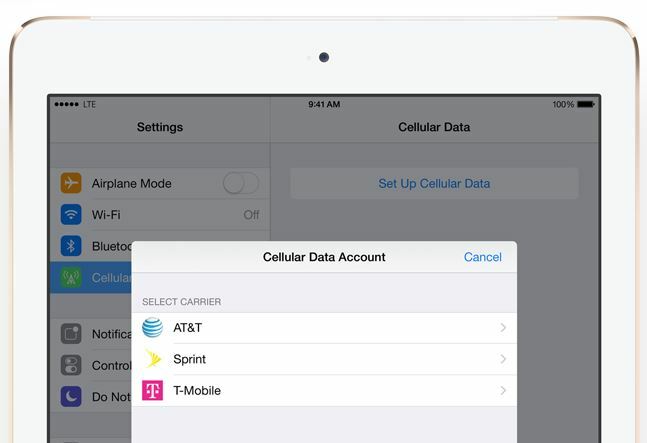 You can thankfully also use a standard nano-SIM in the new iPads, but it has yet to be confirmed that if you sign up for a data plan on the new Apple SIM it will still work if taken out and moved into a non-apple device? If the answer was no, then this annoyance would likely go unnoticed by most, as only a fraction of iPad buyers opt for the cellular capable option. However, if this was used in the next iPhone launch, the Apple SIM could tie Apple devices and numbers together making an iPhone to iPhone upgrade painless, but an iPhone to a competitor a difficult or impossible task. If this was to come into play, it may fly in the States where Apple has stronger control over network carriers and a history of less flexible mobile options. But here in Europe, it would likely be slammed by anti-trust laws for unfair competitor practises. Apple’s new SIM may be both a starting point and a testing bed laying low in new 4G iPads, but things will escalate extremely quickly if it makes the jump over to iPhones in the future. Not long ago we saw Marissa Mayer, Yahoo! CEO make the statement that they had missed a huge opportunity in mobile. Since then Yahoo! has been hard at work enhancing its modern mobile portfolio with a sequence of clever acquisitions of mobile app development houses. With the company revealing its latest quarterly earnings with mobile revenues in excess of $200 million, they estimate growth revenues in mobile to exceed $1.2 billion by the end of this year. 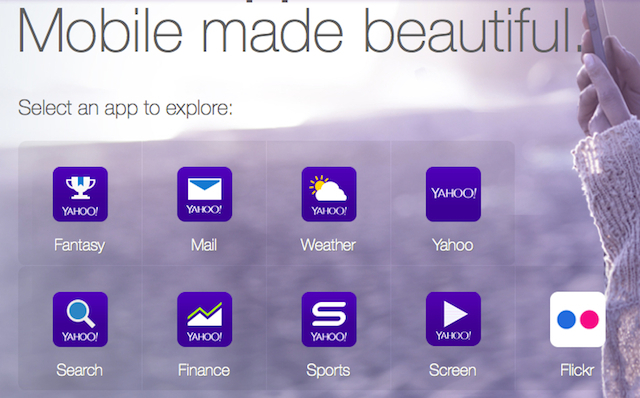 Over the past 10 months Yahoo!’s mobile acquisitions have included Snapchat clone “Blink”, messaging app “MessageMe”, home screen app “Aviate” and mobile analytics startup “Flurry”. In addition to their existing apps these start-ups were also tasked with creating the new Yahoo! App suite including News, Sport and Weather. The surprisingly high quality of these apps have earned them a recent surge in consumer interest and the spin off has been that consumers are returning to use Yahoo! Services. When a company the size of Yahoo! 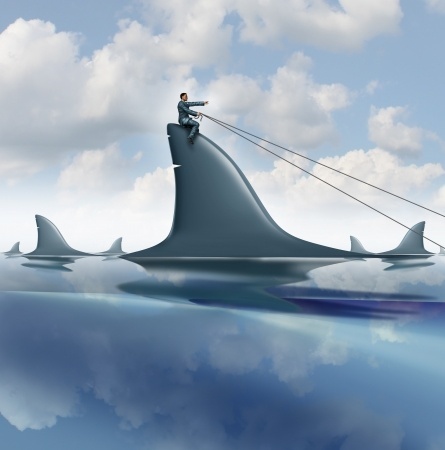 misses a technology shift as big as mobile apps they can often find themselves in serious trouble. Yahoo! is currently rumoured to be involved in numerous new mobile app development house acquisitions, so in finding success in mobile, it is safe to say they are going to focus more than ever on mobile. If the next set of acquisitions turn out as well as the last, Yahoo! may see a new lease of life as a heavyweight in the mobile app business. Microsoft has been developing touch technology for a while now to embrace realism in resistance and weight on their keyboards and touch pads (see blog 5 July 2013), however touch devices are moving on again to evolve into next generation technology described as “rich touch”. The iPhone was regarded as being an exemplar of multi-touch interfaces, but recently an altogether more creative suggestion has been made by Professor Chris Harrison of Carnegie Mellon University in the States. Interfaces have become far simpler for people to use, but Harrison derides the empahsis on size reduction in favour of the flexibility that different touch can provide to expand the use of a device. All of this is based on analysis of the richness of how humans naturally use their hands, versus how many fingers you use to poke at a screen. 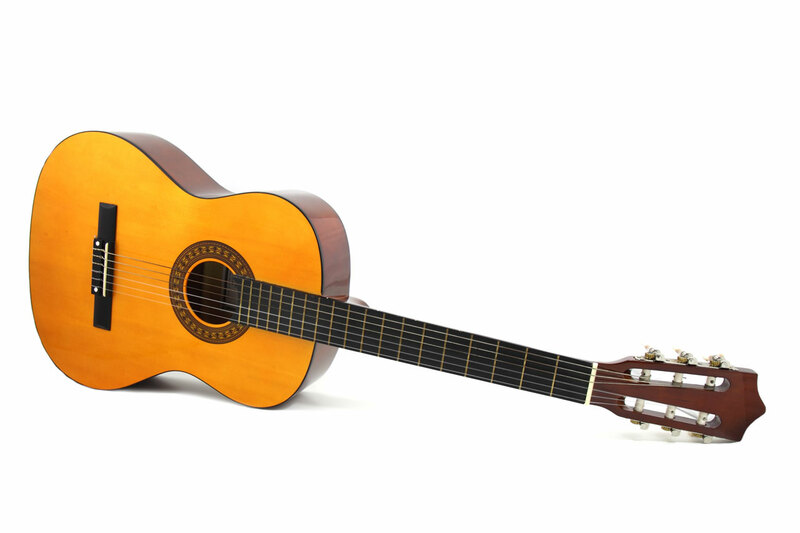 Guitars he sees, are very sensitive for this in terms of touch, pressure and grasp and can pick up on vibration. Harrison sees this as the key to matching desktop productivity on mobile devices. Rich touch would enable your knuckle to be used to add another dimension to your pointer finger ie. lassoing part of a photo, or tapping on the screen with your knuckle to bring up a contextual menu and refine and edit content. These variances can work as a “left-click” for touchscreen interfaces. Further options can be cued by the angle of touch to turn the screen into a different menu sequence, so a poke is different to grazing your fingertip across the screen – which could alter the scrolling process (a big deal for smartwatches). Then there is “drilling” the screen to turn volume up or down and other recognition of hand shapes to perform other functions. All of the above developments seek to connect the user more personally and practically with their devices which should increase output and engagement satisfaction. As long as options remain for selecting how we access different menus, and rich touch options can be switched on or off, it will add another new rich layer to our user experience, whilst also protecting the less dextrous user amongst us. Human OS – are we the biggest risk? Increasingly sophisticated and convincing cyber attacks have continued throughout 2014 to catch out the weakest link in the security chain – namely us humans. In 2014, despite the best efforts of all the tech giants wizardry, updates, patches and fixes, humans have remained the root cause of some of the biggest data breaches of the year. McAfee’s recent Phishing Quiz polled 30,000+ participants in 49 countries. Alarmingly, 80% fell for at least one phishing email in the 10-question quiz. Among business users, the best score came from IT and R&D teams – but their score was just 69% correct in detecting which emails were legitimate – so even the more informed can be duped. A further new development to watch out for is the rise of “vishing” where an attacker makes a phone call, alluding to be a colleague in another department and encourages the employee to click on a link in an email without checking it thoroughly. Once the attachment is launched, pandora’s box is opened. 2. Lack of education about security threats. 3. Open source intelligence (OSINT) or online information gathering (the connections identified make social engineering an easy next stage for most effective attack. There are many things management can do to reduce risk and it is not about a tick in the box from Compliance – there has to be engagement with staff. Often staff will ignore security warnings to get things done. There is an argument, put forward by the White House’s former cyber security expert Howard Schmidt that software companies should design better security controls to create a safer “ecosystem” including strong authentication, encryption and secure email to help users do what they need to do without risk. Fundamentally, it is everyone’s responsibility to think about security and employee awareness should be constant vs being left to a management one off training session they will soon forget about. Understanding different employees interaction and understanding of technology will help make your message relevant to say different departments, workers/managers. Impact will ramp up with staff if you provide real life examples to get their eyes trained on so they can spot spam and phishing attempts. Ultimately the culture has to be one of vigilance and encouraging staff not to trust what you see, just because it is in your business inbox, is the only way to avoid paying a high price in the long term. In a world of biometrics, two-factor and other authentication methods most still use traditional passwords to login to servers and services. To keep as secure as possible, passwords must be unique for each account and complex enough to resist brute force attacks. When you only need to access a handful of accounts, these passwords can all sit in the safest possible place – your head. When these accounts need to be accessed by others, or when you need to access dozens of accounts, this is less practical. To relieve this headache Password Managers can lend a secure hand, but choosing the right one to store the keys to the kingdom is vitally important to avoid a single point of failure arising. The correct Password Manager needs to allow a user to login and access account details without compromising the data it holds. If all that stops someone accessing your list of passwords is a simple password itself, then you risk exposing everything. 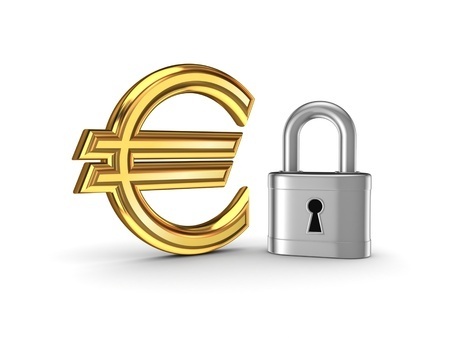 Passwords, accounts and any customer details held must be encrypted and the authentication method allowing access needs to come from another already trusted source – and not the application’s own database. In additional the tool should never list the passwords themselves in a big viewable list which can be easily screen captured and shared outside the application. Important as all this is, the user experience of the tool needs to be intuitive, fast and reliable. If the Password Manager itself is not quick or a pleasant experience you may end up finding employees bypass the app and your passwords get stored in other far less secure ways, such as physical notes or documents on employees storage, and no matter how secure a password is, if it can be found by unauthorised personnel you are leaving your company systems open to all. Google is in the midst of an anti-trust complaint for its monopoly on online search (for more details click here to read our coverage). Google holds a hefty 90% search market share with other search options Bing, Yahoo and others taking the rest. The terrifying spread of virus outbreak Ebola in West Africa has caused thousands to die and threatens countries throughout the world. Data scientists believe that data analytics could help in tracking and directing aid faster and more effectively. 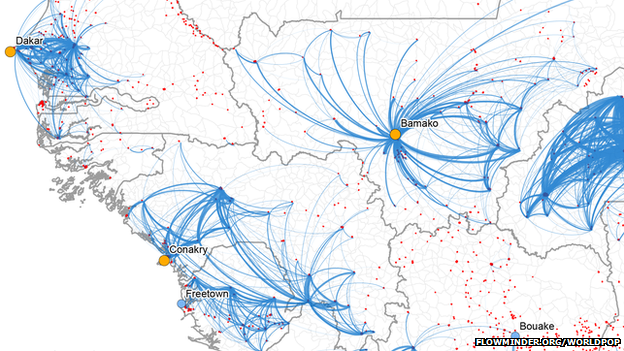 Even in the poorest countries in Africa, mobile phones are widely owned and could be the source for authorities deploying medical treatment centres, as well as identifying places where perhaps movement controls need to be put into place rapidly to stop the spread of disease further. With passenger travel, the availability of digital data means that at least here, the ability to track and chase potentially infected people is easier, if somewhat retrospective. The US Centre for Disease Control and Prevention (CDC) is working with a mapping software company Esri to collect and display mobile phone mast activity data from mobile operators to identify where calls to helplines are mostly coming from. Sharp increases from one area would suggest an outbreak, requiring urgent response. Where the alternative is anecdotal information, ground surveys or police and hospital reports, this use of technology is more dynamic and holds greater chance of having impact (as it did for UN relief operations defending cholera outbreaks after the Haiti earthquake of 2010). Mobile phone data alone though is not enough. Big data analytics is about pulling together many different data sources from which it can see patterns. Frances Dare, MD of Accenture Health comments: “We have health clinic and physician reports, media reports, comment on social media, information from public health workers on the ground, transactional data from retailers and pharmacies, travel ticket purchases, helpline data, as well as geo-spatial tracking.” There has certainly never been so much data available. Whether it can have any impact on the rate and spread of the disease is questionable, but if it can help allocate resources more effectively, then it has to be a step in the right direction if supported by global resources and commitment, which currently are all too lacking. To have knowledge is a great thing. To share knowledge is greater. Technology is making a huge difference throughout the world and nowhere more so than in the developing world. Two thirds of the world’s population is estimated to be without internet access and it is the communication part, not the information part which costs the money. 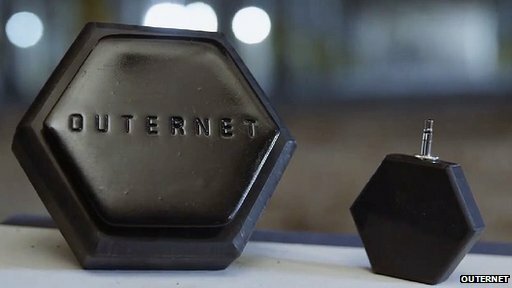 In step Outernet, an innovative company seeking to put knowledge on a more level playing field by creating a core archive of the world’s most valuable knowledge for free, updated monthly and providing regular news in future. Delivery is via re-purposed broadcast satellite TV equipment to DIY receivers which can relay information to smartphones and computers. Technology research company Ovum comment that locals are more likely to be interested in things affecting their livelihoods ie. weather, healthcare, crops etc. However, the needs and opportunities for this group have captured the attention of some of the heaviest technology players: Google announced in June 2013 it was looking to use balloons in the stratosphere to give internet access to buildings below, and Facebook announced in March 2014 it was planning to use drones and satellites similar to Outernet’s with Mark Zuckerberg creating a business consortium Internet.org to drive their project forward. In such a consumerist world, we are likely to witness more innovation through technology recycling as resources become scarce – and sometimes a simple solution can be as effective and have greater impact as its more costly first world cousin’s solution. Hewlett-Packard has announced it will be splitting the 75-year-old tech giant in two. The computer and printer business will form one half with the corporate hardware and services making up the other half. Current shareholders will be given a stake in each new company. Since the announcement on Monday, HP shares have dropped 8.77% The division is expected to complete the restructure at the end of the 2015 fiscal year, which is the period originally pinned for CEO Meg Whitman’s 5-year recovery plan (which we covered May of this year and November 2013, the year after she took over from former CEO Leo Apotheker. With the split of the company being the last step of HP’s recovery plan, how well do we think these 2 new companies will fare? The computer and printer business is by far the healthiest on the books, so this split may indicate the intention to sell off its more costly corporate hardware and services business, if things do not improve after split. HP has made many changes in direction in recent years including CEOs with each bringing their own dissimilar strategies to the table. The purchase of Palm for $1.2 Billion by former HP CEO Mark Hurd is a crystal clear example of this, when the project was publicly scrapped just weeks after the first device was shipped by his successor, Leo Apotheker. The HP split strategy shows yet another costly change in direction for the tech giant and one that will also be followed by expected large job cuts again worldwide. HP is too large to simply vanish but it is looking like it will be a very different beast in just a few short years. Apple sapphire crystal glass manfacturer GT Advanced Technologies (GTAT) faces a bleak future now after its US share value plunged by more than 90% as the firm filed for bankruptcy this week. 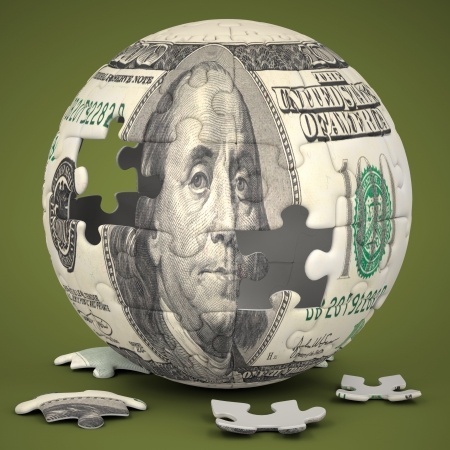 Following a buoyant bank position with a valuation of $1.5bn at the end of last week, GTAT was left with only $175m in the piggy bank four days later. 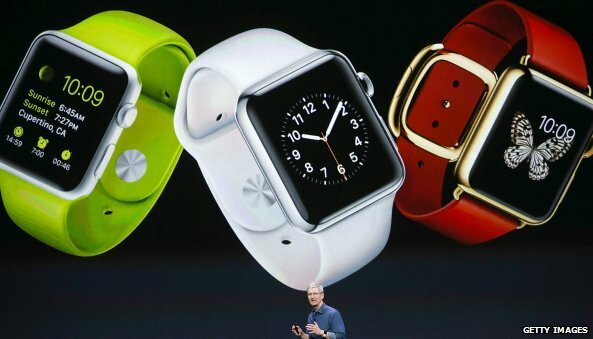 The picture seemed so much rosier in November 2013, with a deal signed with Apple to manufacture sapphire materials. Analysts took this to mean GTAT’s glass would be rolled out into the new iPhone models. But the news this summer that the factory being built with Apple would not be up and running till 2015 means that GTAT have missed the boat to produce the glass required. GTAT’s CEO made a robust statement about the company’s continued viability as it filed for “debtor in possession” status and is still expected to have its sapphire glass crystal in two of Apple’s new Watch wearable devices. However, the magnitude of the gap in potential business earnings is palpable and should act as a cautionary note to smaller tech firms as it shows the vulnerability of having all ones eggs in a Giant tech’s basket. My Signature is Your Command! With security an ever increasing buzz for data systems, Taiwanese start up, AirSig, has entered the market with a “Harry Potter” style password replacement. The notion is that to access a login, the user wafts their smartphone “wand style” to emulate creating their virtual signature. Although this seems a bit loosey goosey and reminiscent of playing with sparklers on Bonfire Night, AirSig advocate that their recognition rates are at 99.2%. The technology company uses gyroscope sensor hardware already found in smartphones, smartwatches and other wearable tech to create a unique algorithm from the virtual signature. This enables an array of tasks to be performed ranging from authenticating yourself, to unlocking your phone, paying a transactions, to auto-opening doors and playing games and the password is changeable at any time. There is no naivety behind this innovation, as manufacturing giant Foxconn have already backed AirSig to the tune of $2m and the product aroused intrigue from tech giants LG and Samsung because of the possibilities for channel restriction for families through TV remotes as the technology is already embedded in the TV sets. The manufacturers recognise that the game changer would be adoption by a major provider like Facebook. With companies jostling to create the next foolproof authentication method, only time will tell if AirSig will gain traction with mainstream commercial markets, but with the technology already incorporated in Android apps, it has a chance of succeeding if the naysayers can be convinced. This week saw Adobe’s annual Max creativity conference in Los Angeles where they show off their latest products and features used by millions in creative industries. New desktop versions of their Creative Cloud applications showcased, improved touch support for Windows 8 and Microsoft’s own Surface Pro 3. This will enable graphic artists to draw directly into applications like Photoshop, whilst also providing touch friendly controls and gestures for all the advance options the suite provides. Apple’s desktops have traditionally had the premium reserved slot in marketing and graphical design departments. Some of the reason given by Mac users were its stability and exclusive applications. Photoshop originally was a Mac exclusive application before also coming out to Windows. 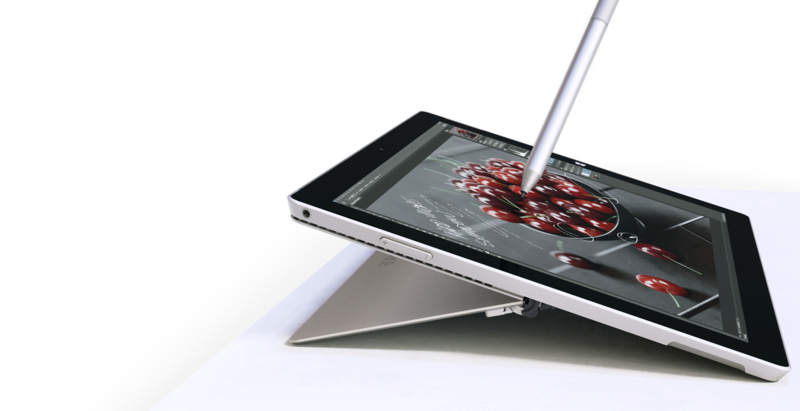 Where Microsoft can potentially take the lead with creative minds is its drive with touch and stylus computing. Apple has shown disinterest in putting touch screens on macs and keeping them exclusive to their iPhones and iPads, which are unable to run desktop software like Photoshop. Drawing and manipulating graphics directly on the same machine cuts out peripherals and enables enhanced portability, making the once Mac exclusive application now more commercially inviting for Windows. In addition to Windows as a platform this news also makes Microsoft’s own devices like the Surface Pro 3 a much more viable option for graphic designers. Microsoft’s Marketing team has shifted comparisons of its Surface line from iPads to MacBook Air’s with the aim to convert users of Apple’s lightest computers. The surface Pro 3 is thinner and lighter, with a higher resolution screen and full touch screen with included stylus all for less cost than a MacBook Air. Will we see a future where Macs are replaced with Microsoft touch enabled devices in graphic departments or will Apple play catch up and offer this support on its next generation of computers or even merge iPad and Macs closer together? Only time will tell, but for now Microsoft has the edge and we will see how willing artists are to trade in their existing tools to take advantage of a touch enabled Adobe suite. Last week at a private event in San Francisco, Microsoft announced the next version of their desktop OS (operating system). The name, catching all off guard is skipping 9 and going straight to Windows 10. Not only will 10 be the next version of Windows for PCs and tablets – but also their phones too, currently running the separate OS Windows Phone. Windows 8 attempted to bring PCs and tablets together with a unified touch-friendly design which was met with severe criticism amongst traditional keyboard and mouse users. With Windows 10, Microsoft has rethought this approach. The same system will run across their devices with the user interface changing depending on what control inputs are available. On a non-touch laptop, an updated version of the old Start menu will help you navigate. On tablets you will still have the full Start screen which Windows 8 introduced and on hybrid devices when the keyboard/mouse is accessible, you will get a smaller Start menu and when in touch mode the more finger friendly Start screen appears in its place. Microsoft is also promising a single store that all Windows 10 devices will be able to access, regardless if you have a PC, tablet or Phone. In theory you would only have to purchase the one app that will run on all these devices instead of having separate apps for phones, tablets and PCs. Windows 10 is also boasting better multi-tasking chops for its power users. The snap feature has been expanded so when a window is snapped to one side of the screen, suggestions appear as to what you can snap to next to it. In addition multiple virtual desktops will now be available as standard so you can switch between different desktop layouts for heavy multi-tasking. The reasoning for the name Windows 10 may be to distance it from Windows 8 in the public eye, which was not the success Microsoft must have been hoping for. The interesting thing here is that from what we have seen of 10 so far, it has a lot in common with what 8 is and what that version was trying to achieve; one OS and interface across different types of devices. Perhaps the naming then suggests Microsoft believes that what let Windows 8 down was not its premise but the delivery and marketing, believing their original intentions were good but very much misunderstood. Feedback coming out of the announcement of Windows 10 has been very positive, so perhaps there was method to the naming madness? Naming aside, Windows 10 does look to deliver a much more intuitive desktop experience and even brings more options to power users without losing the touch friendly advantages and the new Microsoft ecosystem Windows 8 established. 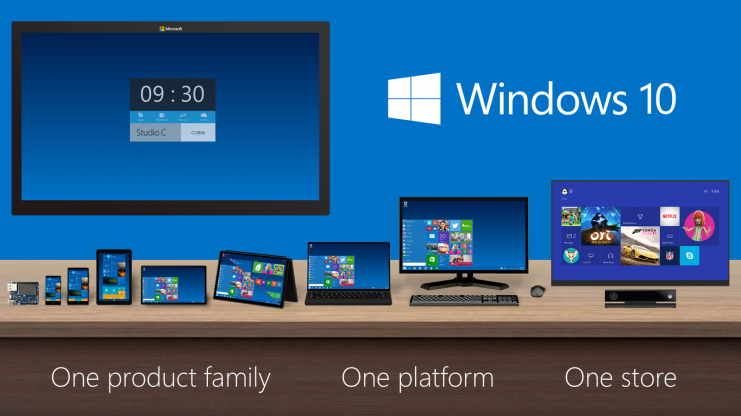 Windows 10 launches late 2015 and we will learn a lot more of its new features coming up to the time of release. So far, Microsoft has put its best foot forwards – its aim here is to convince the 100 million+ Windows 7 owners that Windows 10 is the upgrade they have been waiting for.